Despite the heavy demands of course work, many members of the Medical Class of 1889 still found time for organized extracurricular activities. 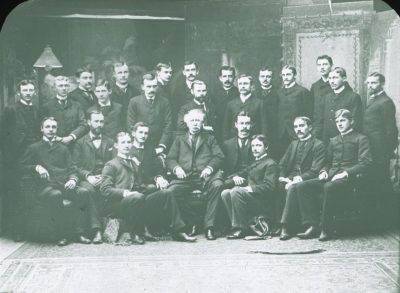 Many were involved in the student medical societies. Some participated in athletics or performed music. A few worked on the student newspaper or volunteered in the Medical School chapter of the Young Men’s Christian Association. A small number were members of social fraternities. Four medical societies were open to University of Pennsylvania medical students during their second and third years of study. According to the 1888-1889 University of Pennsylvania Catalogue, these societies held weekly meetings for the purpose of reading and discussing papers dealing with the theory and practice of medicine and surgery. The 1888 Record indicates that in their second year of medical school, 12 members of the Class of 1889 joined the newly organized D. Hayes Agnew Surgical Society, 10 joined the William Pepper Society, 9 joined the Stillé Medical Society, and 10 joined the H.C. Wood Medical Society. 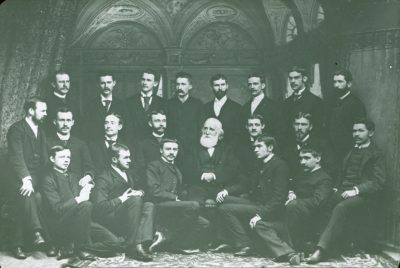 William Campbell Posey, as secretary of the Stillé Medical Society, was the only second year student to be elected an officer of one of these societies. Athletics were important to a number of the students of the Medical Class of 1889, particularly in their first year before their days were entirely taken up with course work. Rowing was the most popular sport, the focus of the only class athletic team put together by this class of medical students. 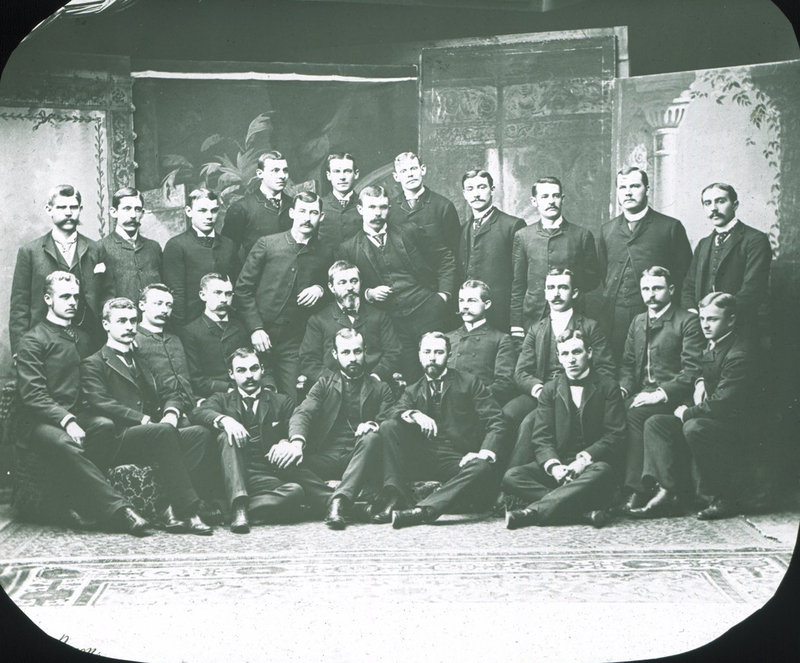 During their first year of course work, members of Medical Class of 1889 formed an eight-oared crew to race with the College classes of 1888 and 1889. The rowers on this team were A.H. Cleveland (bow), A.B. Galloway, J.N. Hunsberger, W.G. Johnson, J. P, Tunis, C.L. Leonard (stroke), Richard Wilson (coxswain)and Samuel M. Wilson. That same year, Cleveland, Galloway and R. Wilson also rowed with the Freshman Eight coached by Ellis Ward. 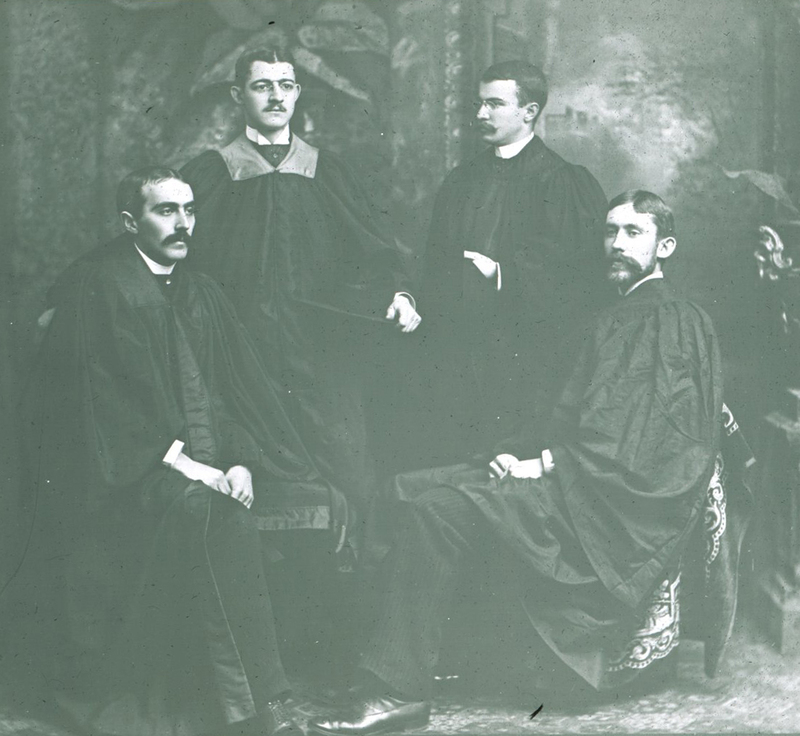 In their second year of medical school, four of these members of the Class of 1889 were joined by three third-year medical students and one dental student to form a combined Medical and Dental Crew. That same spring of 1888, H.Y. Evans, A.B. Galloway, W.D.W. Hall, C.L. Leonard, Richard Wilson and S.M. Wilson were all members of the College Boat Club. Individual students also participated in a variety of varsity sports. W.G. Johnston and J.S. Kulp were both short-distance runners in track and field; G.P. Quin did the pole vault and running high jump. Two other students, R.H. Downes and J.A. 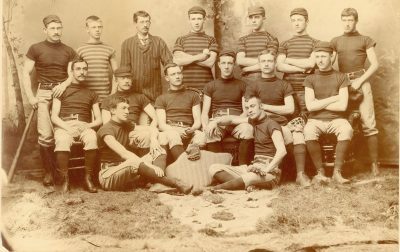 Scott, were varsity cricket players during their years as medical students, Scott serving as captain in both 1888 and 1889. J.M. Hamme and E.P Swift played varsity baseball for three years, Hamme as center fielder and Swift as first baseman and then catcher; C.L. List and Howard Stanton also played baseball briefly. 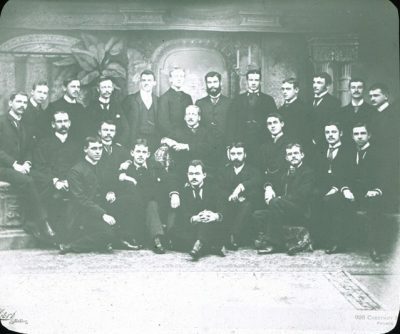 During their first year as medical students, Hamme, W.H. Salter and J.P. Tunis all played varsity football. Tunis was also a member of the Gun Club that year. 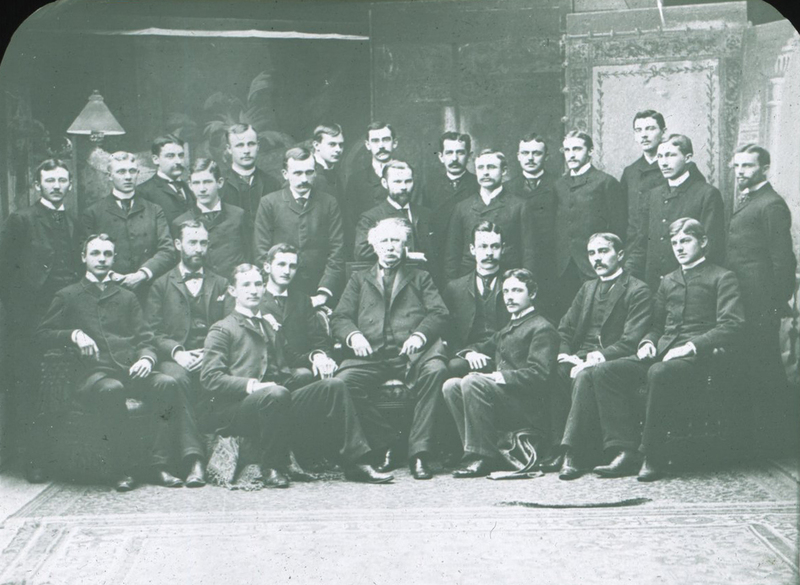 A small proportion of the Medical Class of 1889 joined social fraternites. At least three were members of Delta Upsilon (W.J. Burd, A.L. Benedict and B.W. McGalliard), another three belonged to Phi Delta Theta (A.H. Cleveland, J.M. Hamme, and B.H. Whaley), two to Zeta Psi (J.A. Scott and J.P. Tunis) and one each to Delta Psi (S.N. Duer) and Phi Kappa Sigma (Edmund Canby). This class also had musical talents. In the University Orchestra, H. E. Appleback played the double bass for three years. M. J. Rosenau played second violin all three years. In the first year, A.H. Deekens also played second violin W.H. Salter played piano. T.J. Gallaher played first guitar in his final year of courses. That same year Gallaher, along with J.M. Hamme, played guitar with the Banjo Club. Singers in the Glee Club from this class included I.N. Frasse, W.W. Hull, F.R. Keefer and M.D. Letterman. Richard Wilson, a member of the Class of 1889 who received his medical degree in 1890, was on the editorial board of the student newspaper, The Pennsylvanian, during both his second and third years of medical school. Medical students were so active in the Young Men’s Christian Association that the Medical School had its own chapter, including sixteen members of the Medical Class of 1889.